As many have read on these pages, a few wine events have come and gone – with the last one having happened in NY, at the City Winery. The event showcased many great wines, and was a very good event! The Jewish Week and their kosher wine list for Passover is nice, but you will not find many of them on this list. As I walked around both KFWE this year, and sommelier – I was asked again for a list of my top kosher wines for Passover, so here it goes! This is a of great and reasonably priced kosher wines. So, with some weeks before Passover – here is my list. A few caveats first, this is MY list! This is not a list that will make many happy. These wines are the wines that make me happy. No wines here would be considered over ripe, over sweet, or all over the place. The wines here are listed in the order of cost. That said, the top line wines – what I call Top Flight wines, are not defined by cost at all. In that list you can find a 2010 Yarden Brut Rose, another smash sparkling wine, that happens to be one of the best wines I tasted at sommelier. At the same time the list includes some of the best high-end kosher wines I have ever tasted that go for $100 or so a bottle. The list of Top Flight wines, are ALL wines that I would buy without hesitation, no matter the cost (if I can afford it of course). Passover is time of year when Jews buy the most wine, along with Rosh Hashanah, and the American New Year. That is why all the kosher wine events happened a month or two before the Passover festival. It gives the wineries and distributors a chance to showcase all their wines that each appeal to different market segments. So, no there are no sweet or semi-sweet baseline wines here. There are many very good 15 or so dollar bottles of wine, that can be bought at Skyview, Gotham, and all the other wine stores I have listed on the right hand side (as always I NEVER make money from them and I never know or care what people buy, the list is whom I buy wines from and so I can recommend them to others). Also, the amount of money you spend does not define the value or quality of the wine. Take for example the 24 dollar Capcanes Peraj petita, or the Herenza Crianza, or the Tabor Merlot, Adama, and many others. These are great wines and the price is only an added benefit. However, there are many low priced wines that are not on this list, as they lack the quality required, IMHO. Seeing the list and checking it twice (could not help myself), I am sure there will be a question – what defines a wine as a Top Flight wine and why are there wines that are not on it? The Top Flight wines, is a list of wines that personally was wowed when tasting them. That does not mean that the Peraj Petita, as wonderful as it is may or may not compare to another wine on the 50 dollar and above list – that would not be fair. What it does mean was that when I tasted it, I was wowed, and I said this is a wine that everyone should get – no matter the price. 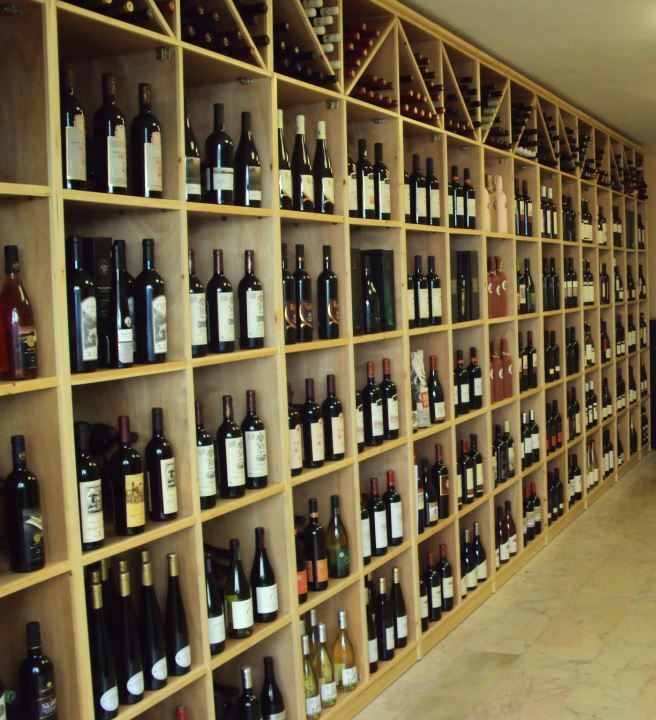 In the end, this is not about which is better than the rest it is a way to whittle down the list of wines that I enjoyed from a massive set of thousands of kosher wines available here in America. That is why I made the list. In hindsight, I am sure I will have missed some wines, but you can be always look at the blog and if a wine you want is not on the list, by my omission, but scored an A- or higher, it was probably a good bet to have been on this list. Finally, it is our custom to drink four cups of wine on Passover, but to power down these wines is far too hard for me. I rather decide to drink simple wines like the Tabor Via bubbly red, non mevushal wine. It is simple to chug, tasty, and perfectly fulfills the custom. For the main course, I am happy to open a Top Flight wine and enjoy that at a calm and enjoyable pace.